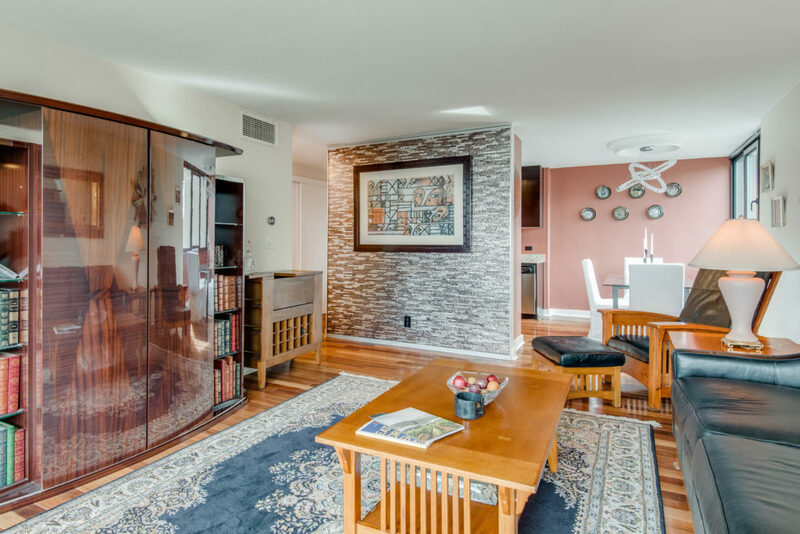 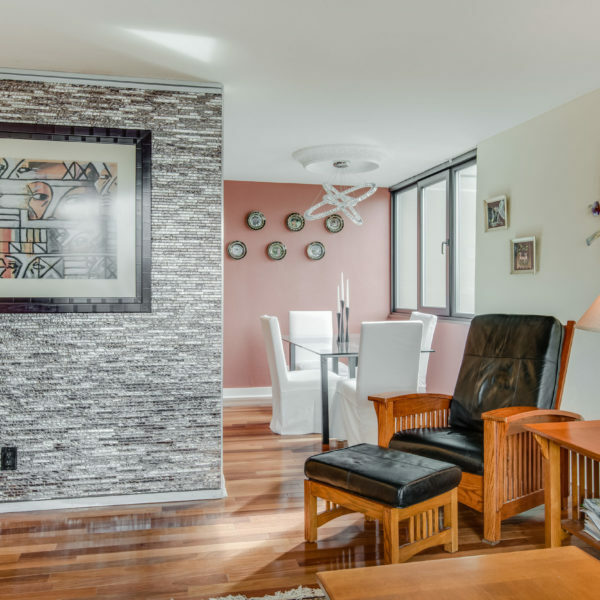 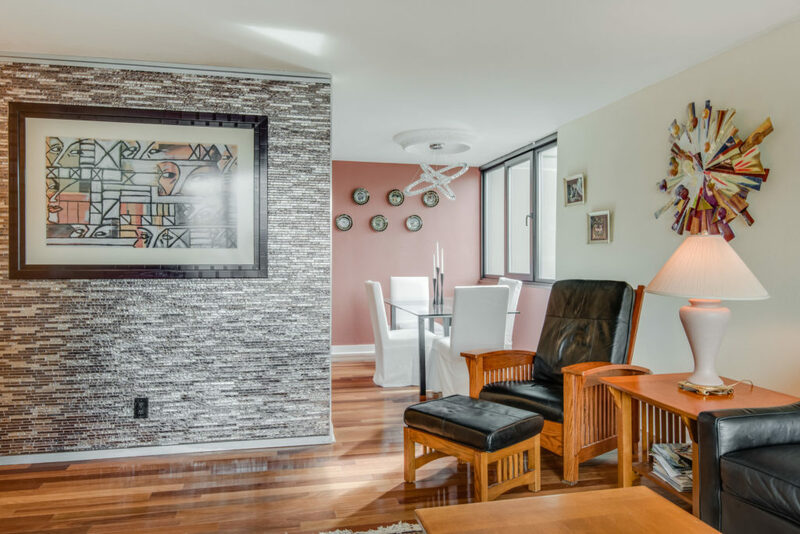 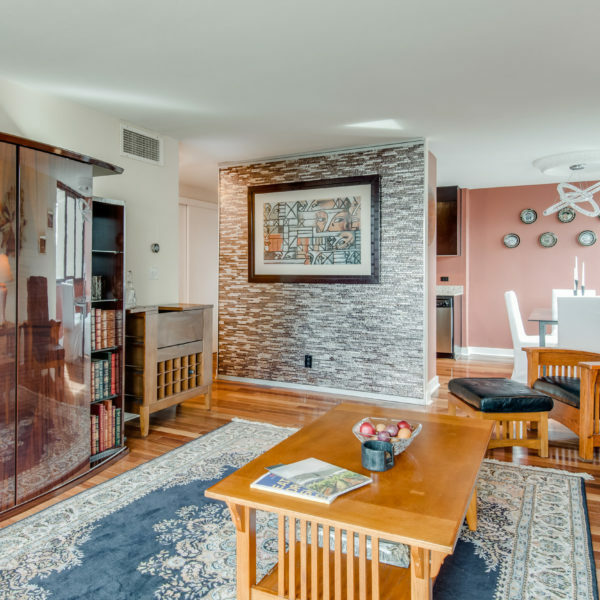 Beautiful, contemporary condo in the heart of downtown. 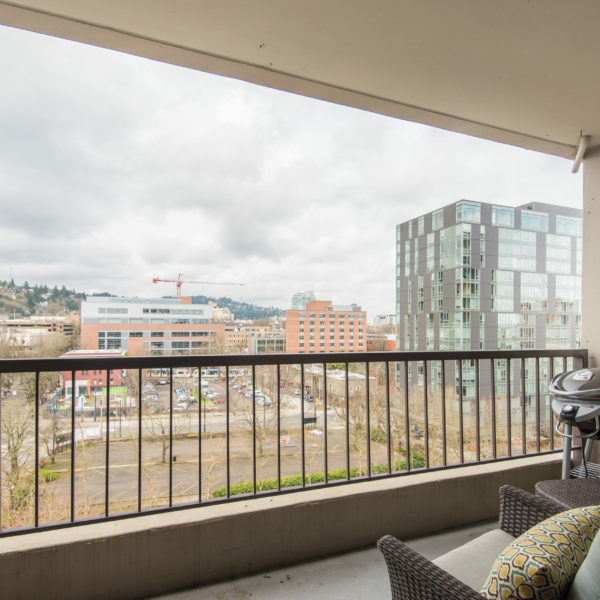 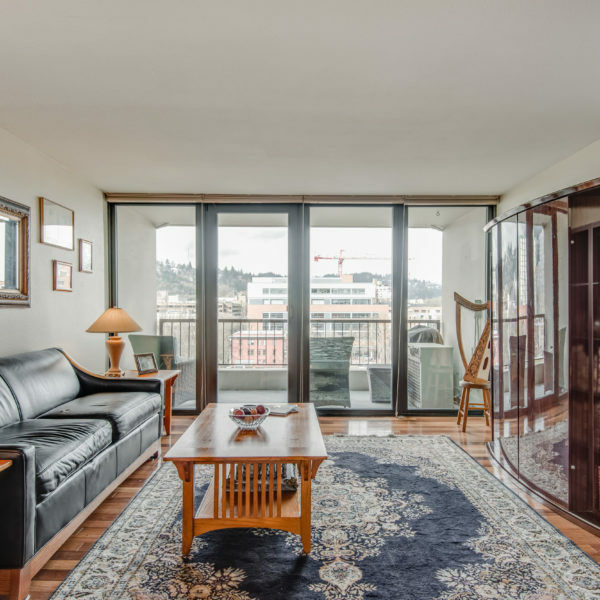 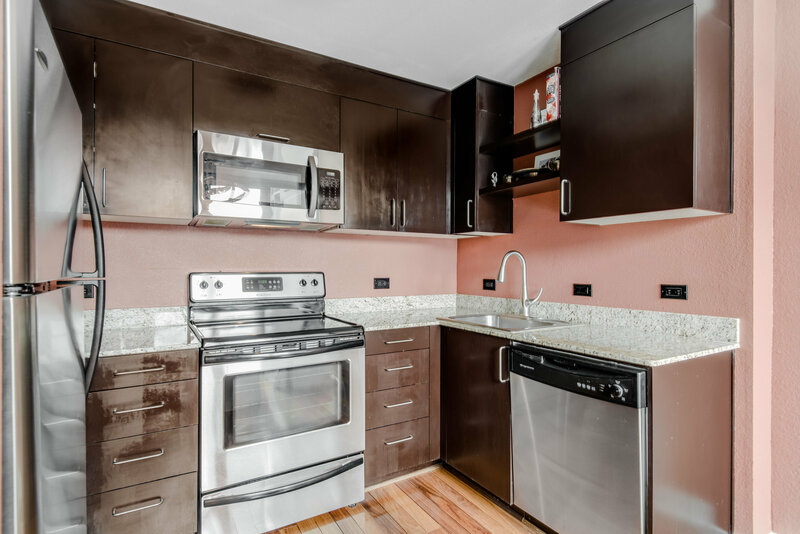 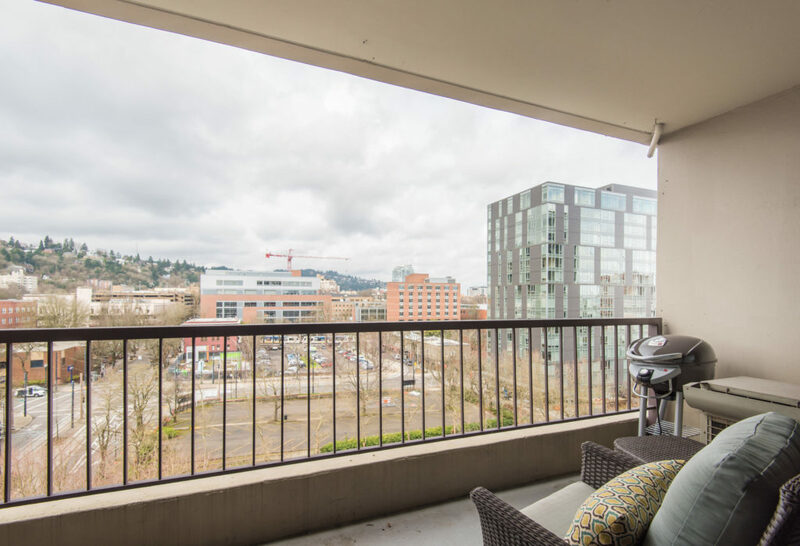 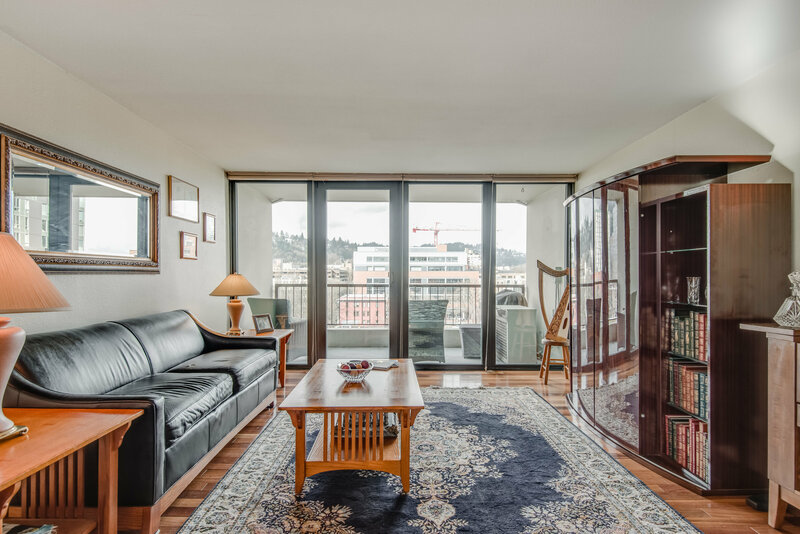 Corner unit with abundant light from floor to ceiling glass in living room, oversized windows with custom blinds in true 1 bedroom, and south facing light from the dining room and kitchen all on the 9th floor! 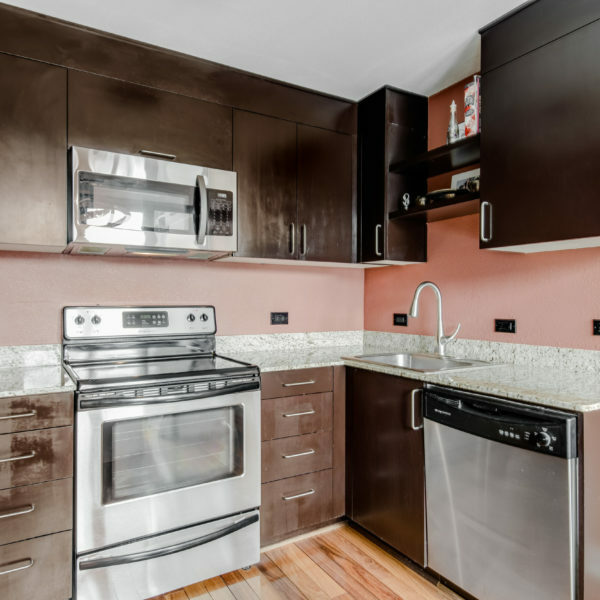 Gleaming Brazilian teak true hardwoods, stainless steel appliances in updated kitchen, A/C, stunning tile wall in living room, remodeled bath, storage unit, deeded parking with 240/220v charging, a pool, and more!